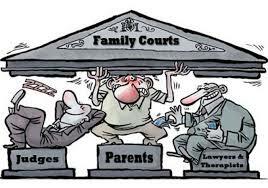 Do You Trust Family Court to Protect Your Children? If So, Read This! If you knew that your adult neighbor had committed sexual misconduct upon his five year old handicapped niece, would you allow your children near his home? If it turned out they became victims, might you be worried about your parental rights for a failure to look into his background? Well for years in a Syracuse, New York courthouse, children were being ordered to appear in chambers without parental supervision to interact with a family judge who committed this very misconduct. There is no way of knowing how his proclivities may have impaired his judgments and custody orders, but unlike the “kids for cash” scandal in Pennsylvania, resulting in 4,000 reversed juvenile convictions, there was no similar review or remedy here. You really have to stop and grasp this reality because our third branch of government has generally received the highest public trust, even presiding over disputes and crimes of our other two branches. If this “family” judge, Bryan Hedges, had not been caught admitting to his disgusting behavior, he would still be on the bench meeting with little boys and girls at these so-called Lincoln hearings designed essentially to get our littles ones spying on their parents. You can only imagine what was going through Bryan’s demented mind as he questioned unsuspecting toddlers about the fitness and behavior of their mommies and daddies. For those of you curious about my motivations for court reform here at Leon Koziol.com, it should be disclosed now that this same judge was assigned at one time to my custody case. Judge Hedges would have met with my little girls had I not successfully moved for his disqualification. The children’s mother, lawyer and judge-appointed attorney all opposed my motion with depictions of Hedges as an impeccable jurist beyond reproach. Judge Hedges nevertheless disqualified himself on an “appearance of impropriety” without public elaboration. This may be explained by my grounds for removal which included his status in a civil rights case brought by a court clerk accusing him of using paid staff to conduct “political espionage,” see Morin v Tormey, 620 F.Supp.2d 363 ($600,000 ultimate recovery). Being a public figure with an opposite political affiliation, I could not accept this judge’s presumption of impartiality when I had been recommended by a retired state Supreme Court justice to run for judgeship in the same district. The story doesn’t end there. Judge Hedges’ co-defendant in the civil case, Chief Administrative Judge James Tormey, assigned more than 35 trial level judges to my originally uncontested divorce case. Any competent lawyer will tell you that this undisputed fact alone makes my case an extraordinary one. But other factors showed that the appointment process itself could be manipulated for purposes of censorship. Most judges were disqualified, thereby justifying my prior (denied) motion for transfer to a downstate judicial district. But certain opposite party judges hung around long enough to exact retributions for my reform efforts before passing their damage on to the next one. Another Syracuse judge, Martha Walsh-Hood, was forced to throw out fraudulent petitions for lack of evidence. I then cited her many violations of judicial code as a cause for the combined harm to my children, but the Judicial Conduct Commission refused to even look into the matter. This was undoubtedly due to misconduct so extensive that any public inquiry would bring unacceptable reputation damage to the state’s judiciary. Hence, the expedient solution was to kill the messenger despite my 23 years of unblemished law practice, model citizenship and fit parenting. I held elective office, served as city corporation counsel, school board attorney and was featured on the CBS program 60 Minutes, CNN and other reputable news organizations. Most recently, a junior judge in Lowville, New York, Daniel King, ventured the claim that he was “protecting” my children with new restrictions upon my parenting rights. They were based again on more fraudulent petitions prior to any hearing. I replied that I had been the one properly “protecting” my girls since their birth including any contact with Judge Bryan Hedges. This 33rd assigned judge then went so far as to fabricate a college degree among my credentials in a scheme to impute fictional income for support incarceration purposes. He also made it highly risky for me to see my children with conflicting directives including one that violated a higher court restraint. With each public criticism there arose a matching retribution through an abuse of judicial office. Daniel King’s misconduct was featured in my testimony at the Moreland Commission on Public Corruption. But when that Commission was disbanded to protect top state officials (the Assembly Leader was later arrested by federal agents on bribery charges implicating prominent lawyers, judges and millions of dollars in public money), state ethics lawyers turned their guns again upon my public criticisms and complaints. The chief ethics counsel and his two attorney subordinates involved in this witch hunt were fired for falsifying time sheets only weeks after admitting in a closed hearing that they had been targeting my website. No public charges were brought against them for any crimes or civil rights violations. Threats of contempt in both family and attorney hearings then prompted me to seek protection in Paris. As I’ve stated time and again, my ordeal reads like a John Grisham plot. So the next time you entrust your children and hard earned money to this antiquated and lucrative custody system, think again. Ask yourself the all-important question: do you trust this person on the bench simply because he or she wears a robe? Here at the Parenting Rights Institute, we offer a program to avoid court or manage your family disputes. It’s based on reality not lawyer profits.